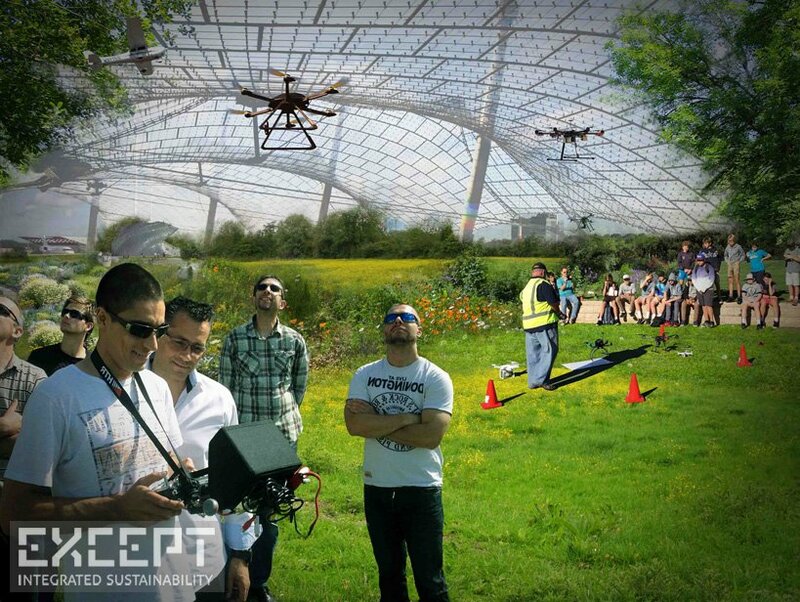 Within the portfolio of Schiphol, Schiphol-Oost defines itself as a green area with room for future development. 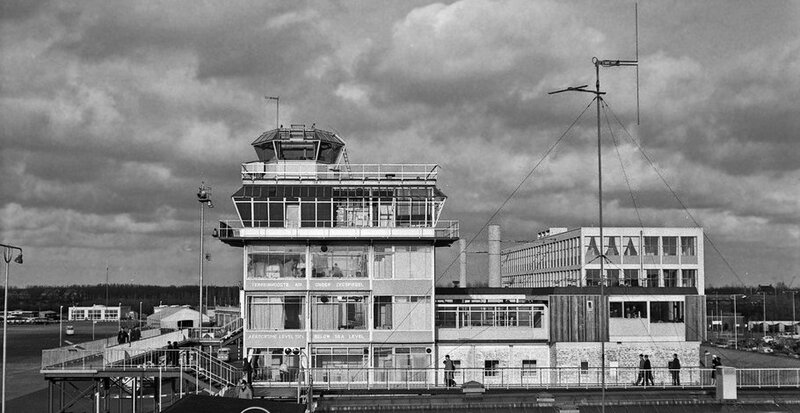 Its limited facilities, the anonimity of the public space, and the infrequent connection to Schiphol Central Building District by public transport are a reason to re-invent the approach of the area, to revitalize it for the future. The new strategy aims itself both towards exisiting users as well as a proposition for new parties. 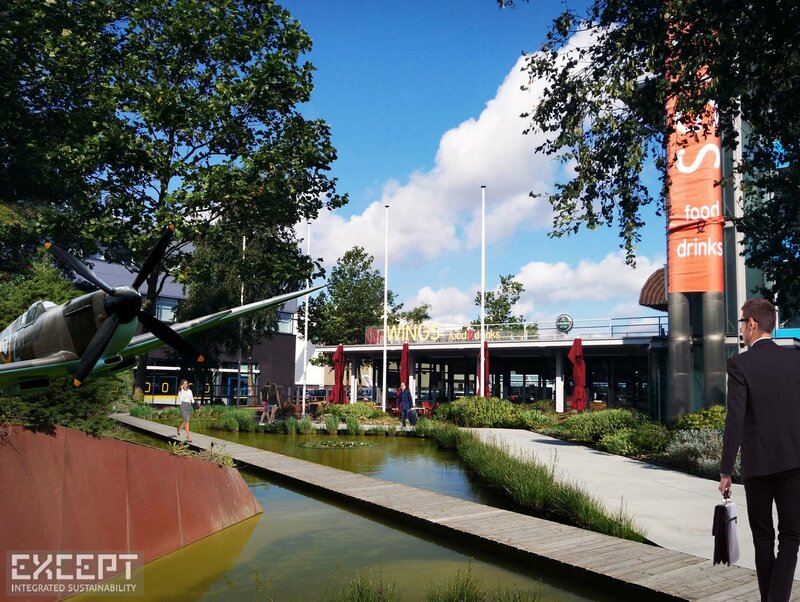 In this proposition, Schiphol-Oost offers itself as the innovation garden for Schiphol CBD, providing space and facilities for project teams of parties that are active at the CBD. This way, CBD and Oost create a symbiotic relationship. 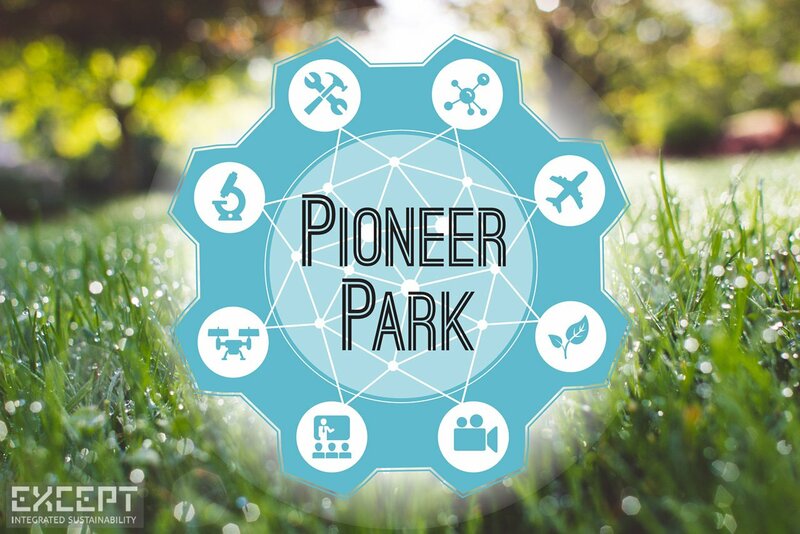 Pioneer Park benefits from the proximity of strong international organisations that strive to innovate, and it offers facilites, space and the environmental quality that innovation requires. Pioneer Park offers Schiphol a more innovative image, better innovative opportunities, a broader proposition, and extra value to CBD. The vision has five main points. 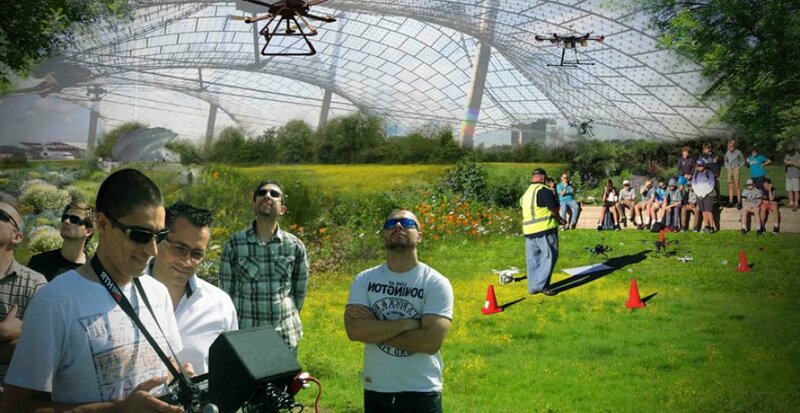 The core proposition - realization of the inventor's garden for innovation teams of Schiphol CBD. 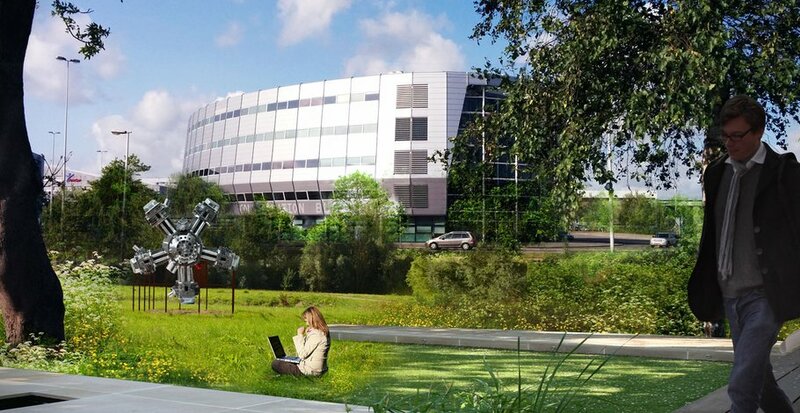 The facilities - increasing the base level of facilities, creating an inspiring working and living environment. The community - feeding and building a community that connects users and creates an inspiring place. The community is a strong partner for SRE in programming, marketing and communication. The public space is shaped as a connecting element between the buildings in the area, and gets an quality upgrade. This adds a to the proposition of the public space to office users the extention of the working environment onto the public space, where it currently ends at the front door of the building. 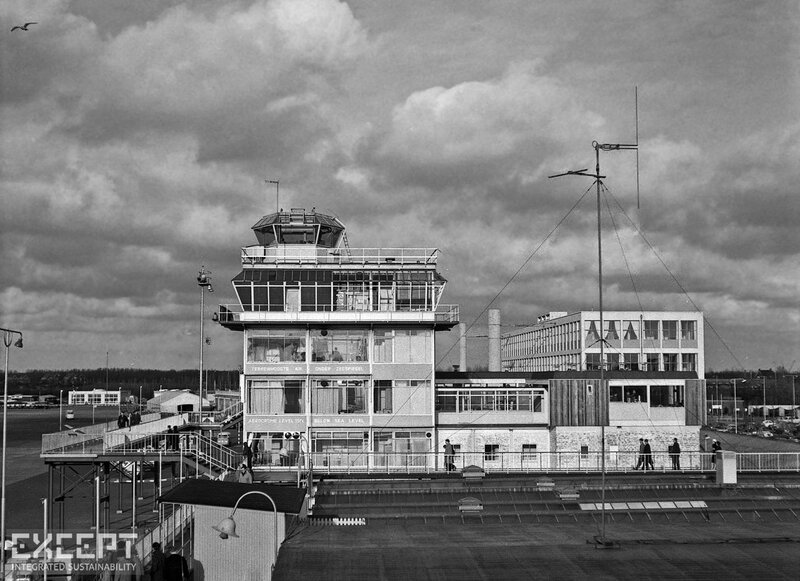 The connectivity of the area to Schiphol and the neighboring municipalities is lifted to a new level. This not only increases the accesibility of the area, but also the emotional connection to Schiphol as an international transport hub. On top of that, a careful programming of Pioneer Park strengthens the relationship with Amsterdam and Amstelveen. 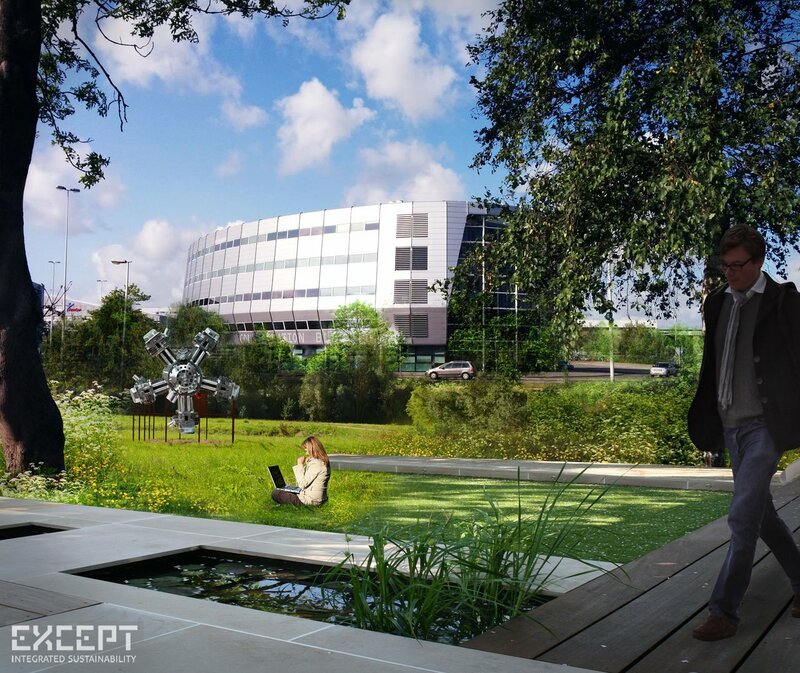 The proposition of specific facilities and spaces points Pioneer Park in the direction of attracting and concentrating innovative project groups that are active all over Schiphol. This also attracts new external parties in the business of product development. 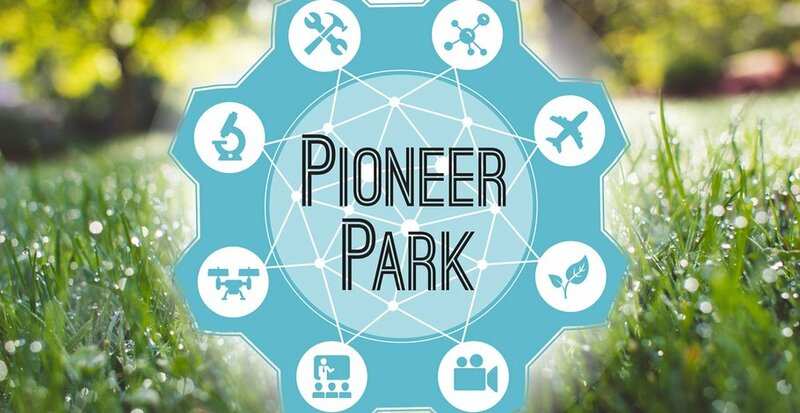 Pioneer Park offers them support during their development phase, ranging from innovative, high tech aerospace and airport related services and products to tech innovations in other sectors. The community takes a center spotlight in the strategy. Schiphol will appoint an area manager specifically aimed at Schiphol-Oost, with a strong mandate. Over the years, this manager builds the community from the ground up. The manager organizes events and facilities, and offers exchange of knowledge and connection to the area. This way, the area manager becomes a community manager, shifting tasks from a real estate perspective to that of facilitator of a community of entrepreneurs. The public space underlines the strategy, creating a new image and experience of the area. 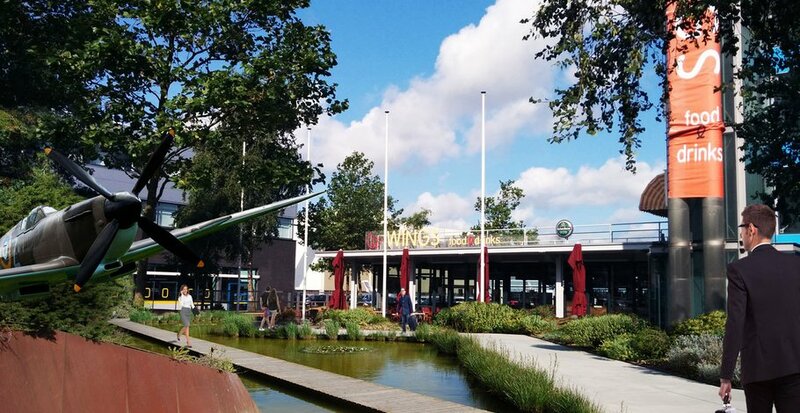 The coming 5 years, the public space slowly trasforms to a campus-like setting, creating a pleasant place to be, and connecting itself to the neighboring Amsterdamse Bos. A big impact lies on a better use of the existing space. Vital to the succes of any transformation to Schiphol-Oost is the accessibility by public transport. The action plan starts with improving current facilities, and creating a central shuttle service. These lay the ground work for a future Schiphol Circular that connects all work areas in the Schiphol area.